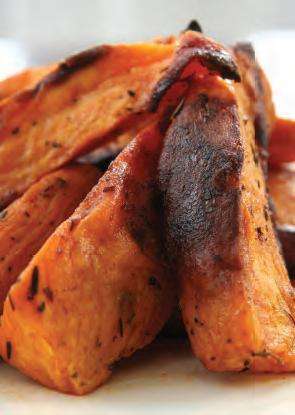 Sweet Potato Wedges – – Sweet Potato, Olive Oil, Paprika, Italian Herb, – Slice potatoes lengthwise into 6-8 wedges. Toss with oil and spices. Pour onto a baking sheet lined with foil. Roast at 400Â°F (205Â°C) for 30 minutes until tender. Allow to cool before serving.